Today the lady Cav’s worked hard all day against some very good competition, and finished 7th at the Morris Sectional. The day did not end up as planned but they can all be proud of the effort they put in. 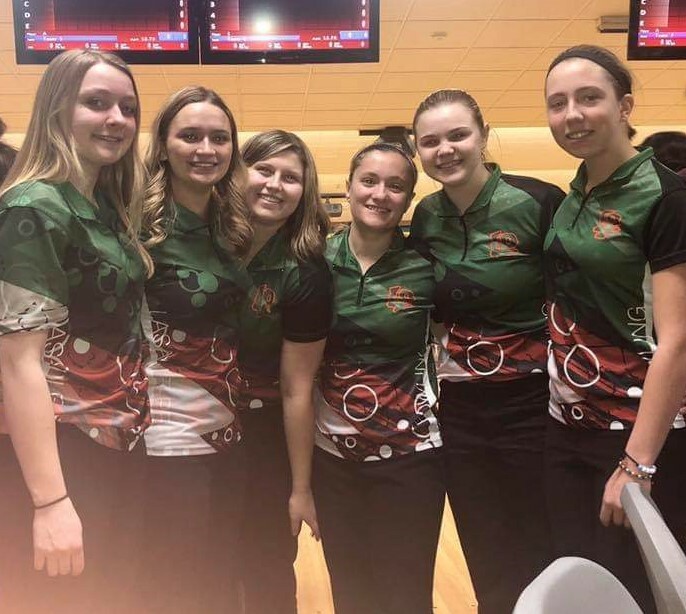 The team was lead by Freshman Isabella Weber with 1211 series and a high game of 220 Sophie Kurtz followed her with a 1066 series and a 237 high game. We say goodbye to our three Seniors Clara Ferarri, Sophie Kurtz, and Samantha Rose. Thanks for all the hard work and contributions to the team the last 4 years and good luck with your future.